Feeling so uninspired with shrimp one day, I decided to just peel the little critters and try to make some fritters. 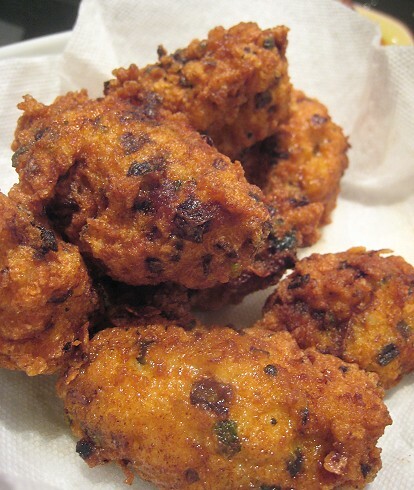 Technically, these aren't fritters, because TS tells me that fritters are usually more dough-y and/or battered. With my brilliant name "critter fritter" now unavailable to me, I suppose I can call them shrimp ovals, because they aren't shaped like balls either. I think the shape -- if I may so myself -- is kind of nice but unintentional. I used a pair of tongs to grab a bit of the shrimp paste mixture from the bowl and dropped whatever was caught in between into some hot oil. The shrimp ovals were very nice. It is not often that we have fried ovals or balls, so these were most welcome. Makes 12 two-inch or three-inch "ovals"
Add all ingredients into a food processor and buzz until it forms a paste. Form shrimp paste into balls, oblongs or discs. Pan-fry, shallow-fry or deep-fry each until done. ooo I can't take my eyes off the close-up picture of the filling! yum yuM! these look good - you can actually see the crispiness. any ideas for a good dipping sauce? i'm a sucker for dips w/ crunchy things. 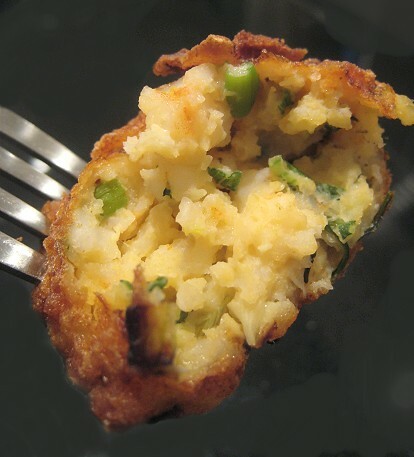 For some reason I was looking for a good shrimp ball recipe a little while ago...this could be the one I use. 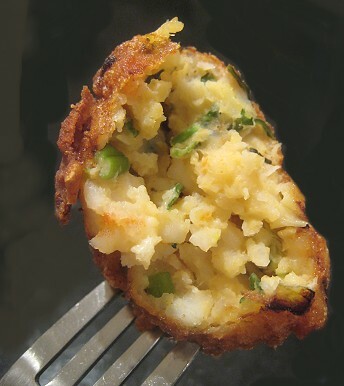 Crispy deep fried ship balls sound so good! Teehee... then our job is done! Haha, the picture of the interior turned out surprisingly well. Oh, we're quite boring in that regard (dipping sauces). We just went with ketchup or that Thai sweet chili sauce. I guess you can also go the other way and do an aioli... perhaps a cilantro one. Mmm. Hehe... "A rose by any other name", right? Thanks for visiting!